Magnetiteâ¢ is an innovative technology that converts your existing single glazed windows into double glazing. The Magnetite system was developed over 25 years ago as an alternative to traditional double glazing. Ben Lafleur and Adrian Lafleur begun the operations in 1998 and started delivering it to homes throughout Sydney. 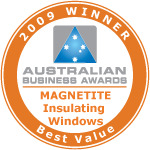 By focusing on Comfort, Magnetite developed a leading reputation in both acoustic and thermal window insulation for residential and commercial buildings across Australia & New Zealand. With extensive knowledge and experience assessing glazing requirements, we customise glazing solutions to achieve the best results for our clients. We operate nationwide through a franchised network of factories who employ qualified estimators and installers, as well as authorised Magnetite dealers, in regional areas. 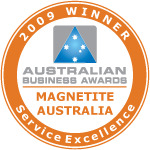 Magnetiteâs franchises & dealers include Sydney, Wollongong, Canberra, Melbourne, Adelaide, Perth, Newcastle, Central Coast and Orange. Learn more about the Magnetite franchise & dealer network. We believe that giving back to our communities is good for the soul. As an organisation with a significant number of male staff members, Magnetite has been a long standing supporter of Movember, a charity that helps raise awareness for menâs health issues such as depression and prostate cancer. Each year customers, staff, their families and suppliers have helped with donations to raise funds and spread the word about menâs health issues.